The fight took place in Copenhagen, Denmark and it saw just over 3,000 fans pay for a $40 ticket to see high stakes poker players Gus Hansen and Theo Jorgensen. The fight could also be seen on Gus Hansen’s new website gushansentv.com and actually the fight was a publicity attempt to attract people to the website and this fight was the main event for the launch of the website. You know the fight would not be a true Gus Hansen event unless there was some type of wager on the boxing match and well there was. 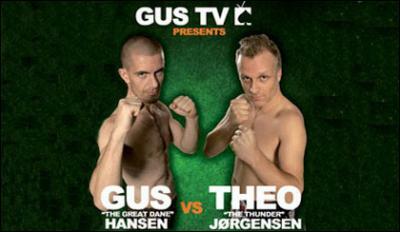 If Gus Hansen came out with a win then he would receive $25,000 but if Theo Jorgensen won then he would receive $35,000. So you are wondering who actually won the boxing match between the two poker heavyweights, well lets just say it wasn’t who you most likely were cheering for. The fight was not a typical boxing match and it was shown that these two are true amateurs and both fighters were able to last the entire three rounds that were scheduled for this fight. In the end thought the fight was in the hands of the judges and they that Theo Jorgensen was a better boxer in the match and gave him the victory and the $35,000. Well this did not sit well with many of the people watching the fight because many of them said that the Great Dane Gus Hansen should have been the true winner because he dominated the first and second round. Now this could be because Gus Hansen is just more well known and has more of a following or it could actually be true that Gus should have indeed won that boxing match but we will never know. It was Gus Hansen who said that he trusted the judges decision and it was going to be final.